We’re afraid (pun intended!) 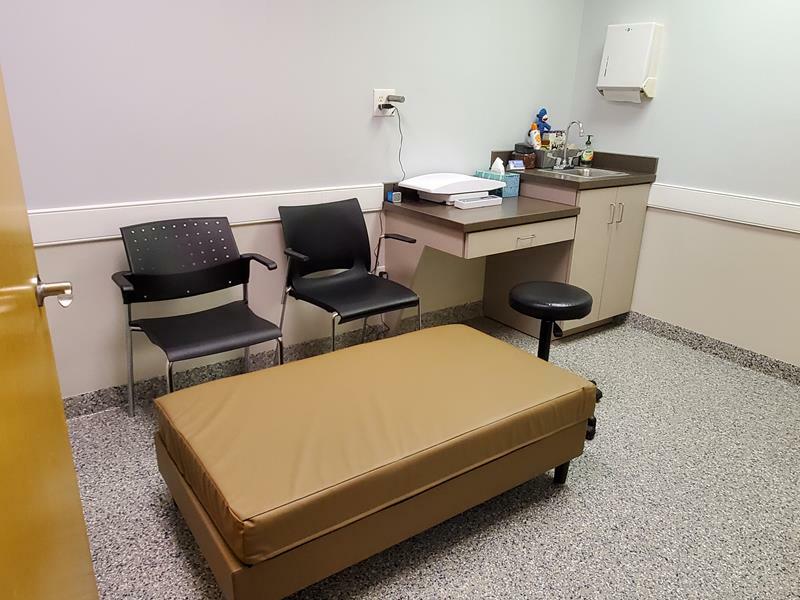 we’ve had way too much fun picking out all the new stuff that is going in our newly remodeled fear free exam rooms at Town N Country. 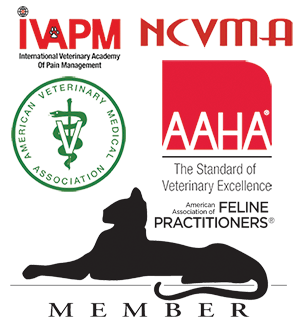 We’ve worked hard and used the very latest research to provide your pet an environment that is as stress free as possible, yet is still safe and easily sanitized. What You See. 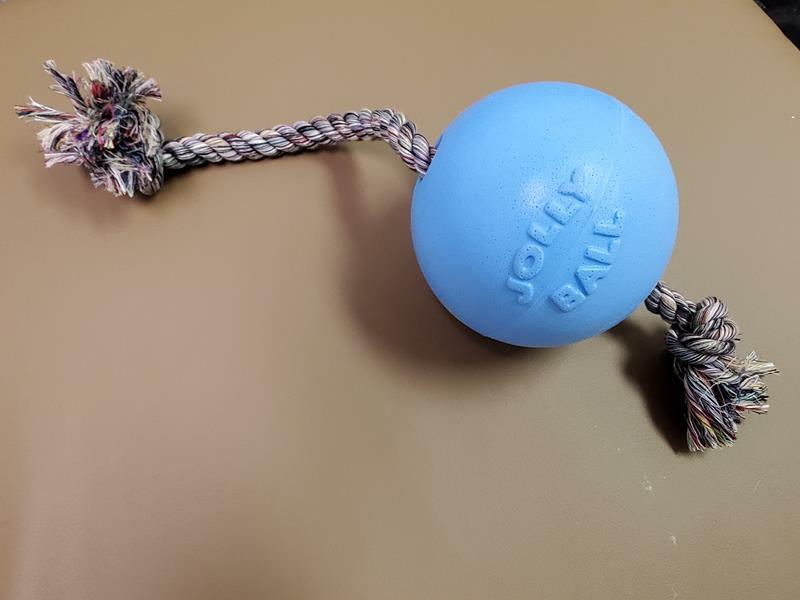 The Hurley toy by West Paw and The Jolly Ball rope are fun toys for high impact chewers. 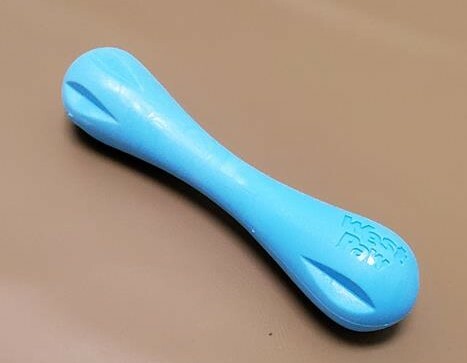 The toys are in shades of blue and yellow, the two colors dogs and cats see the best! Play It Again, Spot. 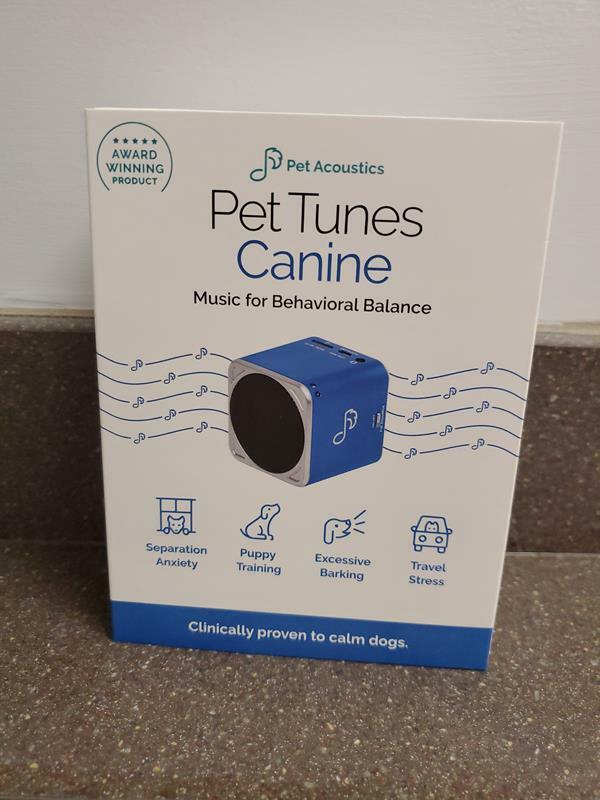 Each room has its own Pet Tunes music box, which is pre-loaded with 60 songs that are designed to be in tune with a dog’s resting heart rate. Something in the Air. Mother dogs communicate with their puppies through natural, comforting messages released into the air, called Dog Appeasing Pheromones. 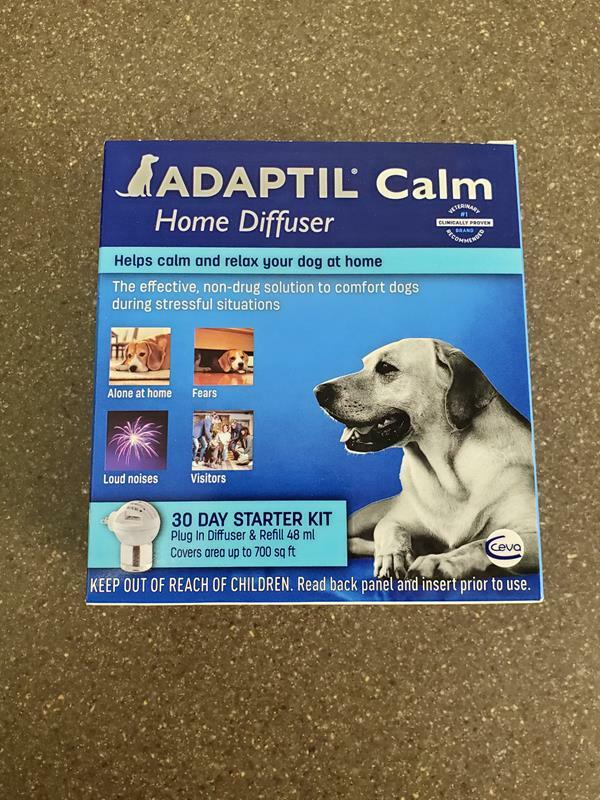 They provide a strong signal of security and comfort to dogs of all ages, helping dogs feel calm and relaxed in situations that may cause fear or anxiety. 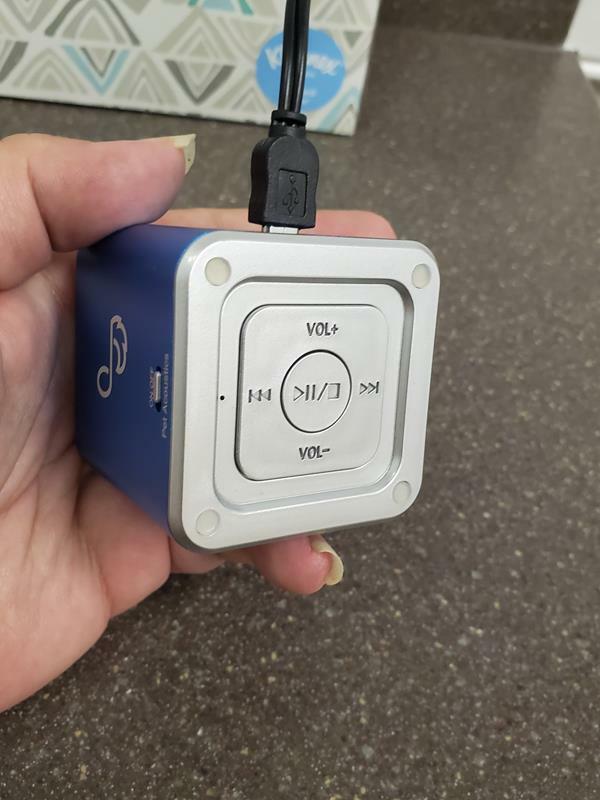 Like the vet’s office! 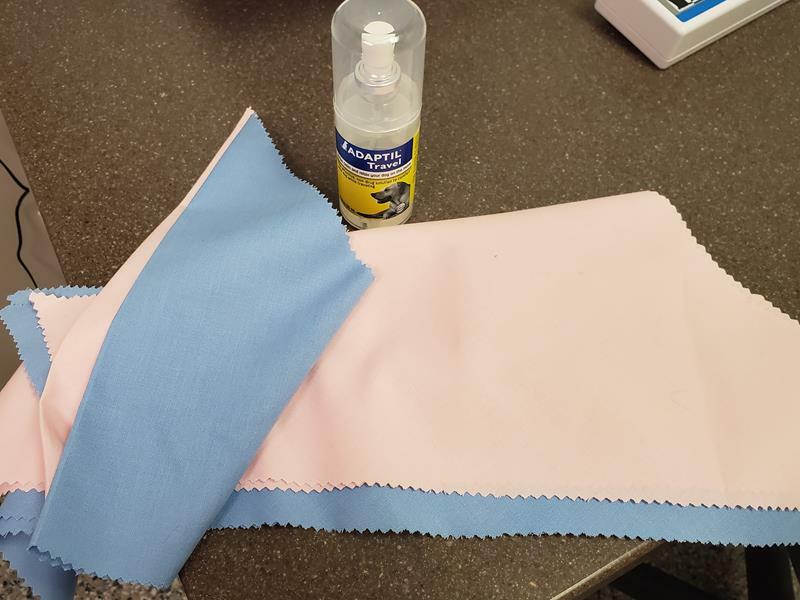 When your pet comes in one of our rooms, we spray Adaptil Pheromone on a pink or blue bandana and tie it around your the dog’s neck to layer the pheromones, so that their calming affect is stronger. 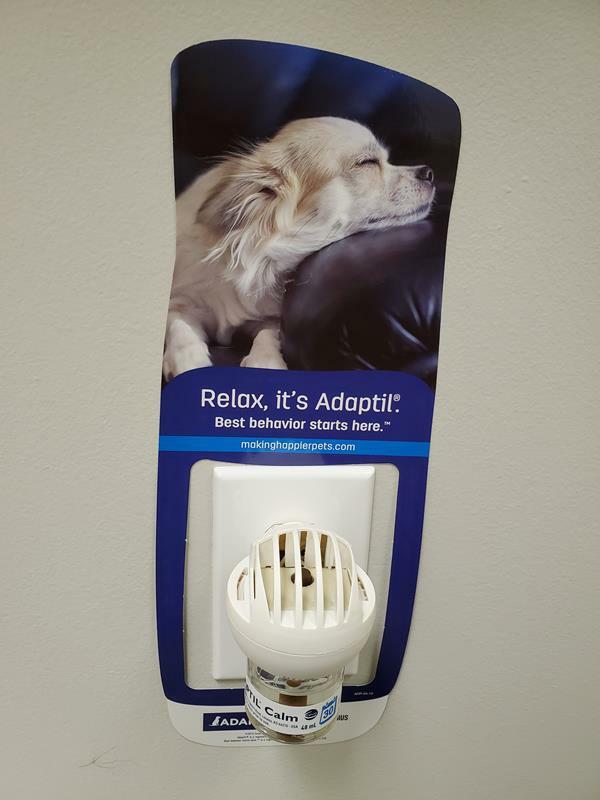 We also have a Pheremone plug-in, but don’t worry, they’re only sensed by dogs – not cats or humans. Taste Test. The Nina Ottoson Tornado food puzzle toy is a durable a level 2 dog brain game, ideal for smart dogs. 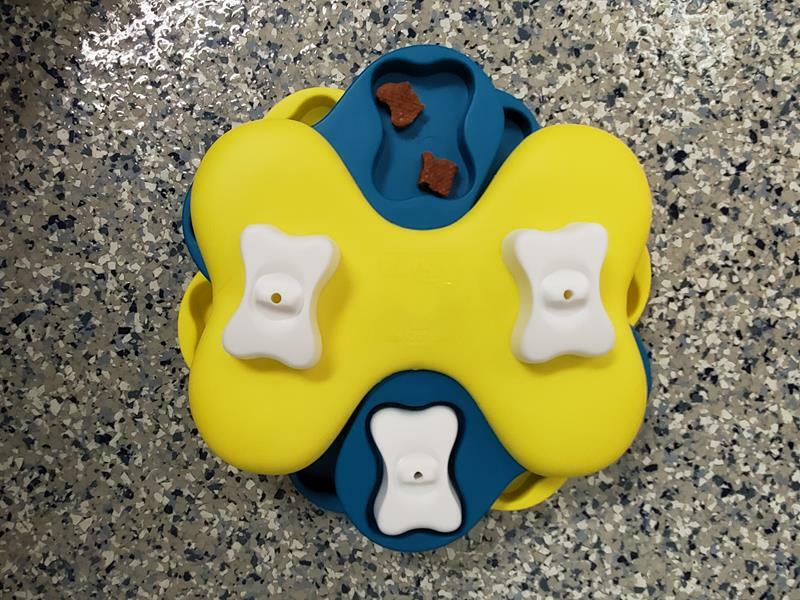 Place your dog’s favorite treats in the 3 levels of spinning compartments and let the dog games begin! By the way, we present you with a menu beforehand, in case your pet or you have allergies or strong aversions to a certain food. All the Feels. The whole room configuration is designed for the sense of touch. The floor, the Ottomans, and even the placement of the furniture are intentionally done so that your pet will feel safe and protected. Learn more about the new room designs here. So the next time Wilma or Fred need us to check them out, you’ll all be able to check our our new rooms. We can’t wait for you all to see, hear, taste, smell, and touch the no fear experience!